Age: Not quite as old as Yami-ji. Kyōraku is a laid back and flamboyant man, evident in his style of dress and general attitude, and he is rarely seen without a smile on his lips. In his off time, he can be seen drinking sake in bars and napping. He likes steamed buns that go with sake, but dislikes powdered green tea. Other times, he likes to chase after women, particularly his lieutenant, Nanao Ise, whom he calls "my Nanao-chan". Nanao will often respond by hitting him with whatever she has on hand. He would have also done this when Lisa Yadōmaru was his lieutenant, which shows that teasing is a part of his personality. Kyōraku tends to use a more familiar speech style than most other characters. He generally refers to his fellow captains and Shinigami by their first name followed by an honorific. Kyōraku is a peace-loving man who will always try to talk his way out of a fight, though he doesn't wish to insult opponents by refusing to fight. The slightly eccentric Kyōraku also seems to like making an impression on opponents. He also dislikes taking the life of innocent people, as he left Chad alive when Nanao offered to kill him. Shunsui first appears during the captain's emergency meeting called by General Yamamoto. However he says nothing at this time, and remains silent throughout the constant bickering between his fellow officers. 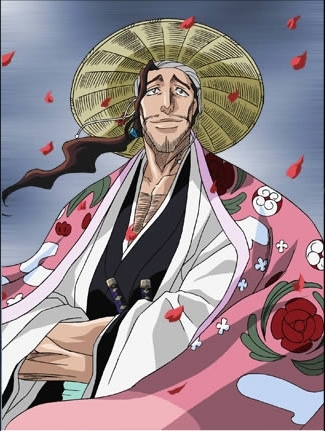 Shunsui is among the first Captains to encounter the "Ryoka". He meets up with Yasutora Sado in his division's compound. There, he gently drifts down from a second level to the ground amidst falling petals (scattered by Nanao), then rises to announce his name to Chad. After his flashy appearance Kyōraku sits down and tells Chad that he dislikes fighting and even offers him something to drink, something Chad responds to by a violent "No" because it is forbidden for minors to drink, something Kyōraku also realizes is a problem. After the whole fiasco with Aizen, Shunsui simply waits for his orders, taking his position as Captain with the usual lackadaisical-ness. 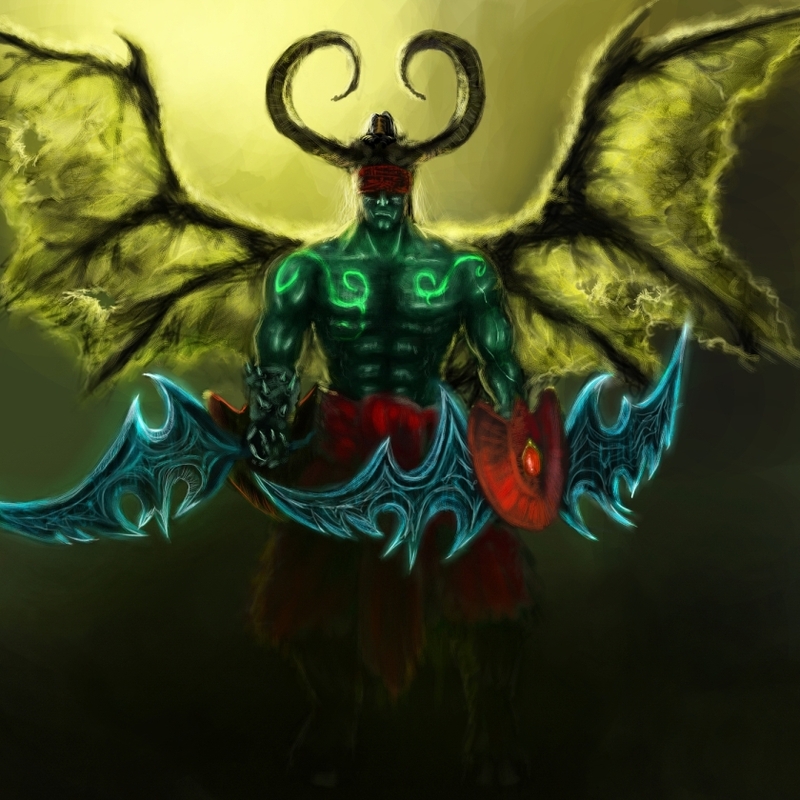 '''Master Swordsmanship Specialist''': While in battle, his power is said to be stronger than any other. His power is unrivaled by anyone who came before him or anyone since. While hating the concept of having to engage in a fight, Kyōraku is presumably one of the most proficient swordsmen in all of Soul Society. 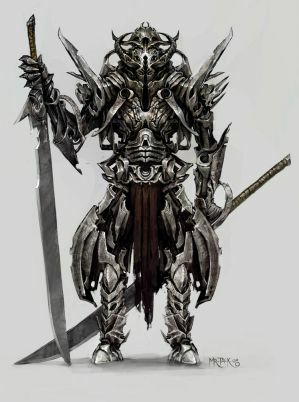 He is a highly adaptable combatant as his two swords have allowed him to become ambidextrous, meaning that he is able to switch hands between the two swords. Kyōraku usually swings with more strength in his left hand than his right hand; however, he can easily switch or balance the strength between his two hands, much to the surprise of his opponent. 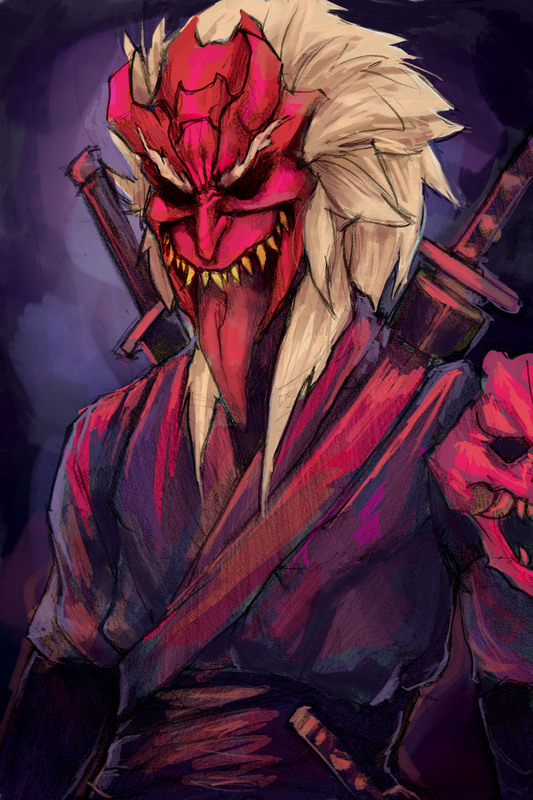 Kyōraku states that he only uses his wakizashi in situations where his katana is too difficult to use. He claims that he does not use them together on a regular basis. The best example of Shunsui's prowess is shown from his ability to fight on even grounds with an unreleased Starrk, the 1st Espada, with only his sealed Zanpakutō while other captain-level Shinigami have been seen requiring at least their Shikai against an Espada. Shunsui's fighting style involves evasion and attacking an opponent either in the front or back using the element of surprise to overwhelm them. His two swords move at a different pace. He takes advantage of that while fighting. While the enemy is at the mercy of his wakizashi’s speed, his tachi swoops in for the final blow. That is the most common method used for swords like his. '''Shunpo Master''': He is masterful in the art of Flash Steps as a captain. He notably makes a massive leap in Flash Steps within mere moments to remove Nanao from the battlefield and return almost instantly, commended even by Yamamoto prior to battle. Shunsui's skill is proficient enough for him to effortlessly dodge Starrk's attacks without mussing his hat or Kimono. '''Master Strategist & Tactician''': Despite his laid back attitude, Shunsui has repeatedly shown himself to be a perceptive and insightful man. According to Yamamoto, even when he was younger, Shunsui has always had an eye for seeing the true character of anyone he meets. Shunsui easily saw through Kurotsuchi's attempt to hide being used by the Bounts. He was also one of the few people to suspect that Aizen was hiding something. In battle, Shunsui has proven to be very adept at noticing and understanding details in an opponent's skills or attack patterns. During his battle against Chad, he quickly determined the basics behind Chad's Reiryoku blasts, warning him about the kinds of techniques, and even explaining that his energy blasts would eventually use up his life energy. '''Immense Spiritual Power''': As one of the strongest and oldest Captains in the Gotei 13, Kyōraku has tremendous spiritual power. He is not overwhelmed by the Spiritual Pressure of Captain-Commander Yamamoto as most people would be in such a situation. His strength is shown even further as he was able to defeat Coyote Starrk, the Primera Espada, with only the use of his Shikai. '''Enhanced Strength''': Shunsui has shown that he is very powerful in terms of strength, as shown when he cracked a barrier that Aizen put up to protect his blind spot with just his Shikai attack, while Ichigo in Bankai and using his Getsuga Tenshō could not even damage a similar barrier. '''Enhanced Durability''': Shunsui has the ability to survive seemingly unscathed from devastating attacks after taking on Captain-Commander Yamamoto, whose Zanpakutō is the most devastating in all of Soul Society in terms of destructive power. He was also able to withstand a Cero at point-blank range from Starrk, the Primera Espada, in his released form without any noticeable injuries.